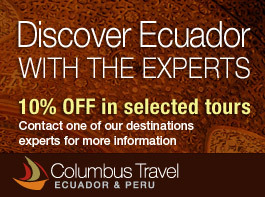 04:00 Pick up at your hotel in Lima and departure along the Panamerican Highway to Nasca. (Private vehicle and guide for two days). 11:00 Continue the trip to Nasca (31/2hrs approx). Important note: Over flight to Nasca Lines is subject to weather conditions and it could be done this afternoon or maybe the next day in the morning. In the morning, over flight of Nasca Lines (30 minute flight, shared service). 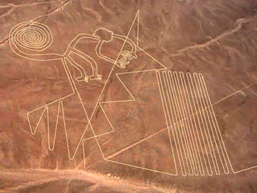 The Nasca Lines are gigantic geoglyphs located between Palpa and Nasca desert, there were created by the Nasca culture between 200 BC and 600 AD. There are many of individual figures, ranging in complexity from simple lines to stylized hummingbirds, spiders, monkeys, and lizards. 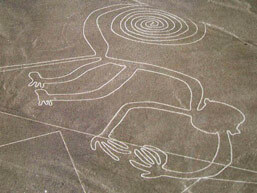 The Nasca lines cannot be recognized as coherent figures except from the air. Pick up at your hotel in Lima and departure along the Panamerican Highway to Pisco- 3h30m approx (Private vehicle and guide for two days). Over flight of Nasca Lines from Pisco (75 minutes flight, shared service). 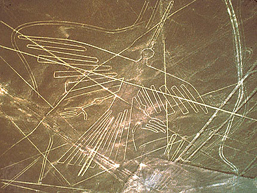 The Nasca Lines are gigantic geoglyphs located between Palpa and Nasca desert, there were created by the Nasca culture between 200 BC and 600 AD. There are many of individual figures, ranging in complexity from simple lines to stylized hummingbirds, spiders, monkeys, and lizards. 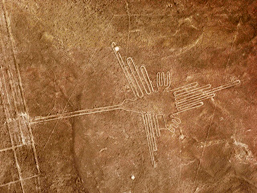 The Nasca lines cannot be recognized as coherent figures except from the air. Important note: Over flight to Nasca Lines is subject to weather conditions.